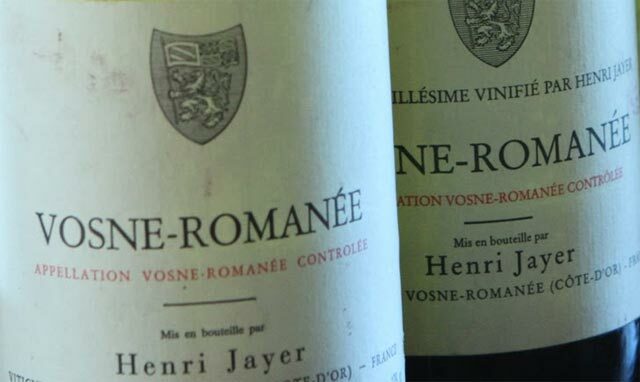 Henri Jayer is credited with introducing some important winemaking innovations into Burgundy. He is in favour of ploughing rather than chemicals to control weeds and thought that low yields were the foundation of great wines. WineSearcher lists the average price for this Burgundy as US$4089 per bottle (£2,630), with a maximum bottle price of $9,611 (£6,187). The website’s current listing for the most expensive vintage of this wine is at £6,201 for a bottle of the 1989. Why must I go from page to page wasting precious time. Why can’t you list these on one page? I actually find it more convenient having to go next rather than scroll down. It got really good from 5 onwards. Bad decision from you grumpy. why lists not scroll down? Even though it was a bit time consuming to go thru page after page, it was still quite interesting to go thru them all. How I would love to taste these wines. After all, that is what its all about. OK, I’ll be a buzzkill – Some people are starving to death in the world. Some people can’t afford the meds necessary to stay alive. Some people can’t afford to keep a roof over their heads. And some people pay tens of thousands of dollars for a bottle of wine. ok, I get all the emotions. Are you suggesting that poor people shouldnt have a good taste in Wine? LOL!!! Last holidays I payed $17,200 for a bottle of 1959, in 2011 I donated $50,000 to help feed hunger in less fortunate countries. I am some people. No your just retarded, for paying that much for a bottle of alcohol. Anyways most charity contributions do not go toward the advertised cause. Look up pink ribbon foundation or salvation army. They make no progress and only use a fraction toward their cause. Looks more like an infomercial for Henri Jayer. Excellent article, it’s amazing that there’s so many Burgundy wines in there.